This is going to be a pretty short post today. I just have some random items to share with y’all. Items I LOVE. Items that I use constantly. Items that if I’m running short on them, I’m hopping online to order asap. Items that I believe in. I present to you: STMT BEAUTY FAVORITES. Years ago my once healthy and shiny hair started looking not so healthy and not so shiny. It was a sad time for me and my hair. My mom asked her hairdresser (mom is ALWAYS willing to do whatever she needs to do to help her improve her daughter’s appearances…am I right Conner?) :), and she recommended Redken All Soft products. They are a little pricey, but they are worth EVERY PENNY. They changed my hair. I’ve been using them for about 12 years now, and I can’t imagine ever changing. And let’s be real, do we really want to assign a monetary value to the importance of shiny hair? I’m thinking most girls would cut back on their grocery bill if it meant they could have shiny hair. 😉 Click HERE for the shampoo, click HERE for the conditioner. When I first posted about this shampoo and conditioner several years ago, my friend Kasey tried them. She texted me later with this message: “Well, all I have to say is that Salon Selectives may have to give up their motto, because I look like I just stepped out of a salon. People are going to want to run their fingers through this stuff.” I laughed so hard. I love my friends. And if we’re being honest, she might have chosen another word instead of “stuff”. Because realllllllly shiny hair pretty much deserves an expletive. And just for fun, please leave a comment if you started singing the Salon Selectives jingle right when you read the words. Prediction: hair follicles all over this great land will be thanking me for spreading the word about these products. You will thank me. Your hair will thank me. And if you’re mom is anything like my mom, she will thank me. I promise. So I bought these deodorant wipes on a whim during the anniversary sale. The reviews were good, and I was intrigued. I wasn’t totally happy with the deodorant I was already using, and I thought these would be great to keep in my bag and my car if I ever needed to freshen up. And now it’s all I wear. They are easy to use, go on clear, and the smell is very nice. I feel like these wipes give me better protection than any deodorant I’ve ever used! Seriously!!!!! Some reviewers agree with me, and some say it didn’t work for them at all. I guess it depends on body chemistry? Anyway, I’M A FAN. Click HERE for the deodorant wipes. This Lime, Basil and Mandarin fragrance is my new favorite. I’m not a perfume girl, never have been (most perfumes give me a headache or make me nauseous)….but I’ve fallen in love with the Jo Malone fragrance line. And right now I’m absolutely obsessed with Lime, Basil, and Mandarin. It’s light and refreshing and smells delicious! And I get complimented on it all the time. And I’ve gotta say, being complimented on how you smell is nice. 😉 Click HERE for this scent. 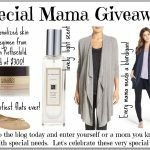 Click HERE for the entire Jo Malone line (for both men and women) that also includes candles, oils, and diffusers. First of all, IT IS SO EASY TO APPLY. It goes on very quickly and smoothly, and it is the perfect thickness. And because it’s a liquid, you don’t have to pull on your eyelid to straighten it out to put it on (like I had to with a pencil). It has some serious lasting power, and it doesn’t smudge or fade throughout the day. I have the alloy (grey) and think it’s awesome. I tried the black and it was much too harsh for my liking. Click HERE for the eyeliner. This is by far the best eyeliner I have ever used. I think this might be it for me with eyeliner. It’s an awesome product. I know there are lots of products like this one around, but I’ve never loved any of them. When I tried products like this in the past, one of two things happened. Either the little fibers would always flake off and end up in my eyes, or I just felt like the product didn’t work at all because I didn’t notice a difference in my lashes. Until now. This Dior Eyelash Primer and Extender goes on easily, seems to be moisturizing when it goes on, and it definitely adds length and volume to my lashes! You apply this product, and then you put your mascara over it. I apply this mascara immediately after this product, and my lashes look amazing! Click HERE for the primer and extender. This was a recommendation from my hairdresser, Amanda. It’s blow dry spray. She told me if there was just one product that she could keep stocked, this would be it. First of all, I ADORE the way it smells. It smells absolutely divine. DIVINE. I wasn’t even really paying attention on if it decreased drying time or not, because the smell just made me happy. But after a conversation I had with Amanda at my last appointment, I started paying attention. AND BY GOLLY, it does speed up drying time! 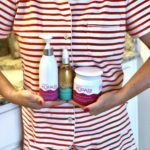 And when I grabbed the link for it, I also learned that it provides intense heat protection from damage and breakage…detangles, smooths, and softens while eliminating frizz ….and resists humidity for long-lasting, healthy looking results. I MEAN, COME ON! Click HERE for it. I hope y’all liked my beauty faves list. Here’s a quick reference for everything mentioned in today’s post. Just click on what you are interested in! And if you are digging the beauty picks, make sure you hop over to my Make-Up post HERE. You get to see before and after pictures and everything. And I know everybody loves a good before and after pic. Just ignore my recommendation on eyeliner on the eyeliner post…..because it no longer applies. 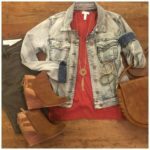 See y’all back here on Wednesday for a couple of great fall outfits that are easy to put together! I woke up this morning, and LOFT is 50% OFF EVERYTHING and FREE SHIPPING with NO MINIMUM!!!! WHOAH! Lou and Grey items are even included! 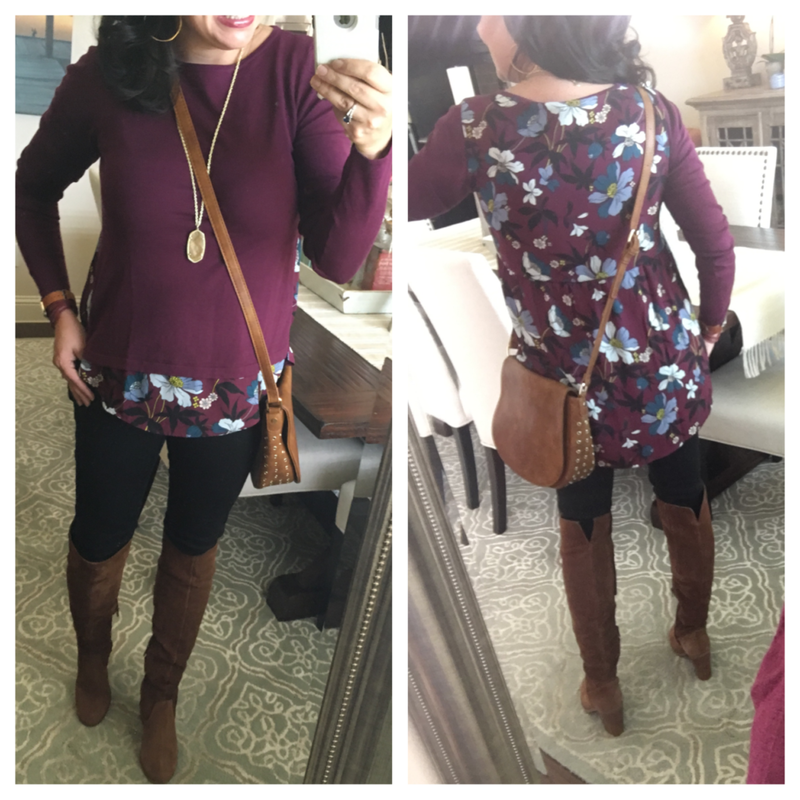 So, I got THIS tunic from Lou and Grey (going to be great with leggings and it is CRAZY soft)! And if you are in the market for leggings, lots of people have and love THESE (great reviews, thick, and shorter than the HUE for those of you that would like to wear them with flats)! Seriously, go read the reviews on them. I ordered them last year, and even though I liked them, I didn’t love them because they weren’t as comfy to me as my MUST HAVE leggings. HOWEVER, I ordered a size up this morning to see if that was the problem. All of those 5 STAR reviews can’t be wrong! THIS chambray shirt dress could also be AMAZING with leggings, as could THIS marled belted cardigan. The rest of these pictures you’ve seen before…but 50% OFF and FREE SHIP with NO MINIMUM warrants a review! 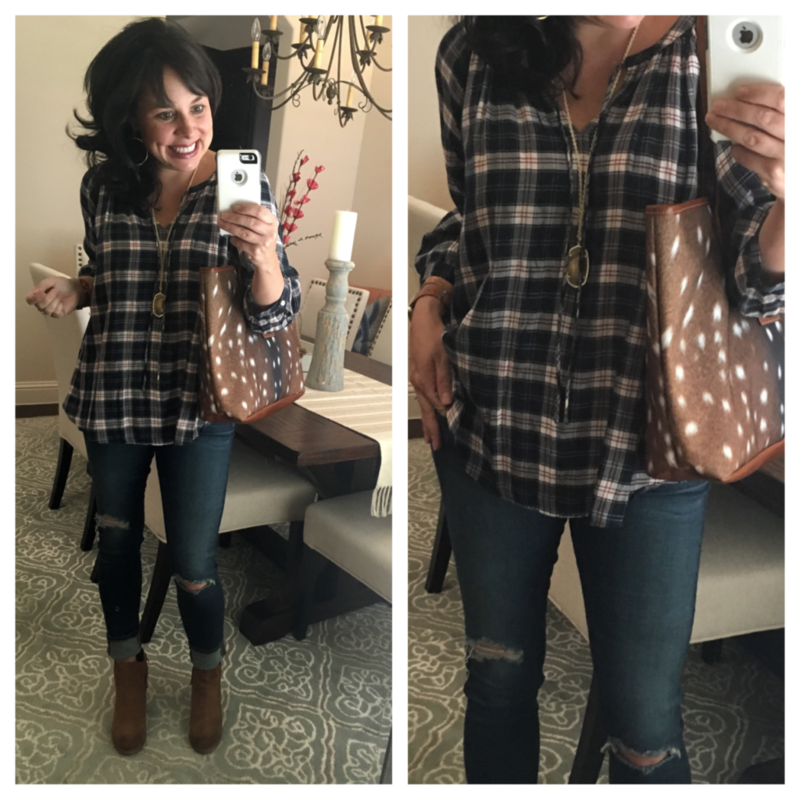 Loving this plaid peasant top for early fall! It’s 3/4 length sleeves, and it’s super light weight, which is great even for now! I’m wearing a small, so I think it’s true to size. It’s blousy, but meant to be that way. AND Y’ALL! Check out the new bag that Barrington sent me! It’s the axis print…and it’s not furry (or real), although it looks like it is! When you touch it, you won’t believe it! Don’t forget to use the code PTMTSAVE10 for 10% OFF! 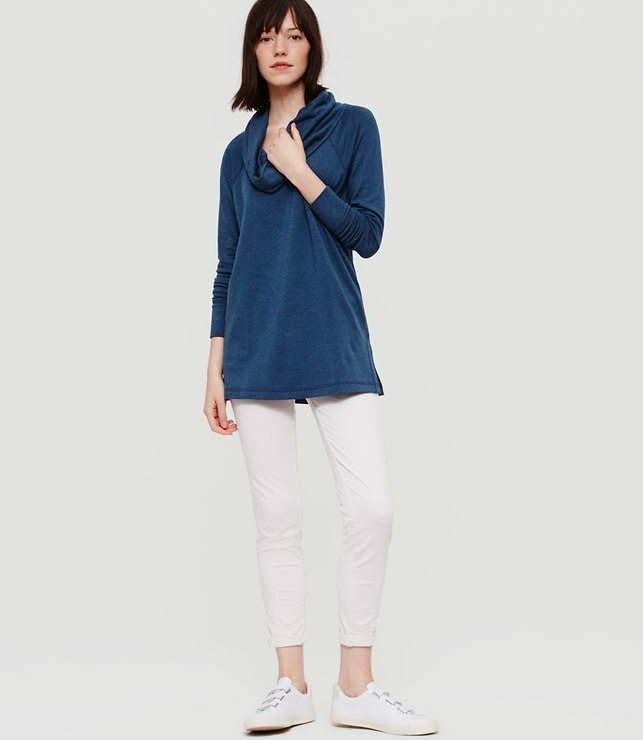 This next top can be easily dressed up or down, and would also look great with black slacks and heels! I’m wearing a small in the sweater, so I think it’s true to size. 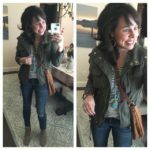 I’ve also showed it to you with denim jeans and flats! It’s greatness! 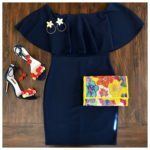 Look at this darling peplum top! The site describes it as a tee, but it’s quite thick…so it actually feels more like a sweater to me. #iloveapeplum I’m wearing a small, so it’s true to size for me, but it’s definitely a bit over sized. And y’all……you have to check out my new wedge booties. Click to see the back of them!!! The amazing utility blouse from Conner’s WORK WEAR post is still available as well! THIS BLOUSE is a must have staple for your closet, especially if you work in an office environment. It comes in tons of colors and has excellent reviews. Conner texted me the following about this shirt: “PSA – everyone needs to buy every color of the utility blouse. I probably will.” Over the last several years, I’ve added 3 to my closet: a black, a red-orange, and a floral patterned one. I love THIS floral one and THIS floral one they have this year. 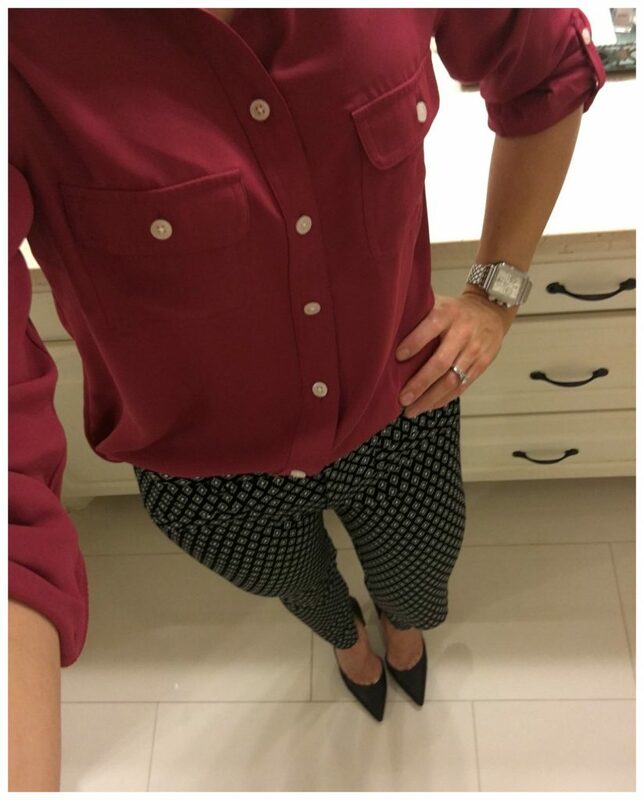 These blouses obviously look great with work pants and skirts, but they are also awesome with jeans! 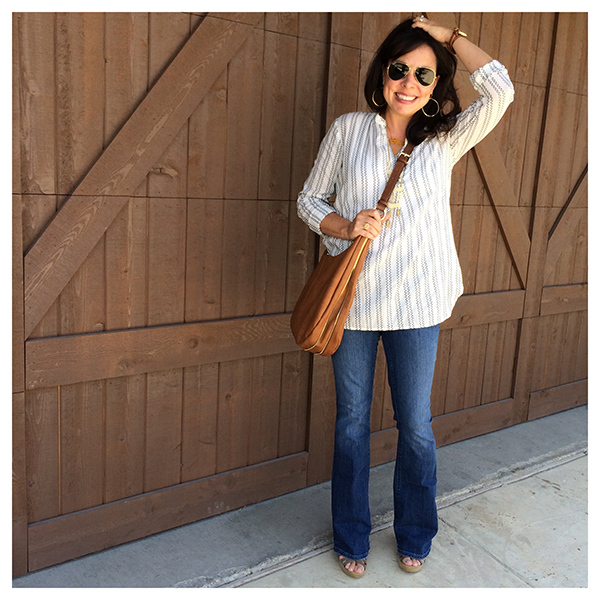 I’ve worn them a lot on date nights or girl’s nights with skinny jeans and wedges or boots! Hope this review was helpful. 50% OFF and FREE SHIP happens once in a blue moon, so take advantage!!! Love your enthusiasm! Must try the All Soft shampoo and conditioner. I could definitely use an improvement in the shine department. I used to use a gel eyeliner with a brush too and, while I loved the look, I wasn’t crazy about the process. I *just* picked up a Bobbi Brown long lasting gel eyeliner pencil at Sephora yesterday so I’m pretty excited to try it out. Hoping it’s easier but does the same fab job. I’m off right now to order that blow dry spray!! Thanks for sharing!! I love that shampoo and conditioner!! It’s all I’ll use!! Also, I’m totally going to grab that blow dry spray! Sounds amazing! Nice product like shampoo and conditioner. I want to buy it….. Favorite shampoo of all time! I love those deodorant wipes too… I seriously thought I was the only person in the world obsessed with them! Thank you for reminding me of Redken All Soft. I used it for years and loved it, but then changed salons after a move and started using Goldwell. They make an awesome cleansing conditioner that helps me extend the time between shampooing. But the softness provided by Alll Soft can’t be beat! I’ll have to start using it again this winter to keep up the softness. I want to try that Stila eyeliner. I’m completely clumsy when it comes to eyeliner so maybe it will help me out. I have put that same Jo Malone fragrance in and out of my cart so many times. Maybe I should just pull the trigger. Also, I’m intrigued about the deodorant wipes (I have a problem with a lot of deo giving my itchy pits). But I’m concerned that I would go thru these so quickly. I agree, the shampoo and conditioner is the bomb!!!!!! That blow dry spray is amazing, love beauty products! Sheaffer- what is your normal hair texture? Mine is thin & Im wondering if the All Soft would “coat” it too much or make it heavy? Also, how often do you get it cut? How much do you get cut off at a time? I’m currently looking for hair products that will help me in the growth dept……. Thanks Sheaffer! How much does your hairstylist cut off? Could your hair grow longer? but, you just like to keep it the same length?! way to go for color!!! does it look very different? oh, i forgot to ask…..what are your thoughts if any on the Morocconoil line? I guess if youve been using All Soft for 12 years you probably havent used anything else!! but, ive been looking into that line & curious if you have any anything to say about it?!? or any other girls out there who use this line?! thanks, y’all!! Sheaffer- Do you color your hair? I was wondering if the shampoo is safe to use on color treated hair. Thanks! Oh I’m going to use that shampoo next time! Oh Jo Malone..how I love thee. I love love Blush suede and peony, everytime I wear it I get compliments. It’s so lovely. I agree! The way I found Jo Malone was a funny story. A couple years ago I walked into a White House Black Market (clothing store) and I was overwhelmed with how stunning it smelled in there. Ethereal. Truly amazing. So I went straight the the ladies working there and asked – did they sell a perfume? what air freshener does WHBM use?? and they were confused at first, bc no, they dont sell perfume there, etc…..and then they were like “OH, it must be so-and-so who works here, she just put on perfume!” So I asked to meet this ‘so-and-so’ and she came out happily telling me that is was JO MALONE PEONY SUEDE BLUSH. she wrote it down for me, and i left, shaking my head about how in the world did i not even know who JM was before today? anyway, turns out the peony suede blush on my skin doesnt sit that well & smell as good as it did on the other lady. 🙁 But, it turns out that Orange Blossom is my absolute fave on me & captures all the heady amazing etherealness that I experienced that first day. I’ve been using the Redken All Soft shampoo and conditioner since your last recommendation. Funny that you are writing this now. The other day when I was buying a new bottle I was asking myself, “I wonder if Shaeffer still uses this stuff?” ;~) Now I know! My hair dresser has even asked me what I was using. She has an Aveda salon. Uhhh….sorry Aveda… but I love this stuff! I’ve always had decent hair but this stuff makes it better and I also use it with colored hair. I MUST try those deodorant wipes. I’m so intrigued!!! Do you have a rec for self-tanner? I’m super fair and just got a spray tan to try out for the first time. No bueno. I think I need to go the gradual self tanner route instead. Even the lightest color of spray tan looked too dark/orange on my Irish fair skin! I really want something that just evens me out and gives me just enough color so I don’t look like Casper. I don’t even have to be “tan”! Have you ever tried Beautycounter products? I know everyone has their favorite products and it’s hard to stray from the tried and true, but I’ve recently given Beautycounter a try and I’ve converted over. The biggest thing is the safe ingredients BC uses – I don’t have to worry about anything yucky being in my personal products. Is anyone else having trouble ordering on Loft? I’ve tried several times today and nothing is pulling up. Hi! 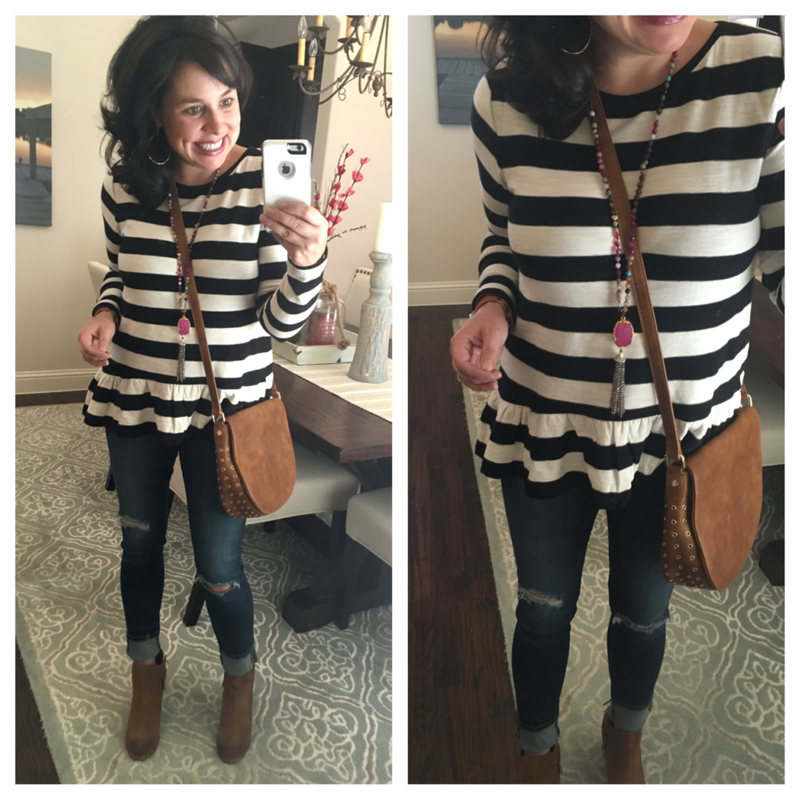 Could you share what size you wear in the Lou & Grey tunic? Thanks. Thanks for the recommendations for hair products! 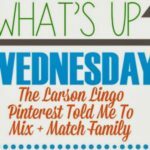 I have been looking for some new products and will give those a try! Ulta is doing a big sale this month on hair stuff- perfect timing- thank you!